This hotel is a 10-minute drive to downtown Oklahoma City and Oklahoma City University. The hotel features an indoor pool, full-service business center and in-room microwaves and refrigerators. 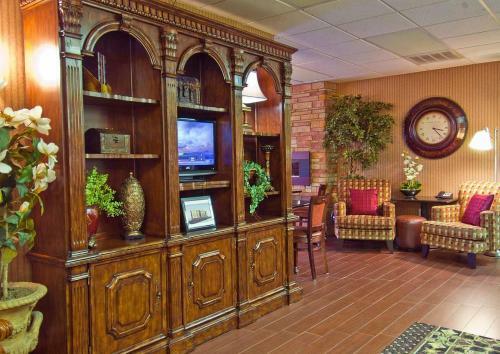 Oklahoma City Northwest Hampton Inn guest rooms are equipped with cable TV and free Wi-Fi. A free weekday newspaper ironing facilities are offered for added convenience. Guests at the Hampton Inn Oklahoma City Northwest are provided a daily hot breakfast. Guests can use the gym and laundry facilities. Penn Square Mall is only a 5-minute drive from the Northwest Oklahoma City Hampton Inn. The National Cowboy and Western Heritage Museum is 10 minutes from the hotel. Guests can also visit the unique shops and restaurants in historic Bricktown. 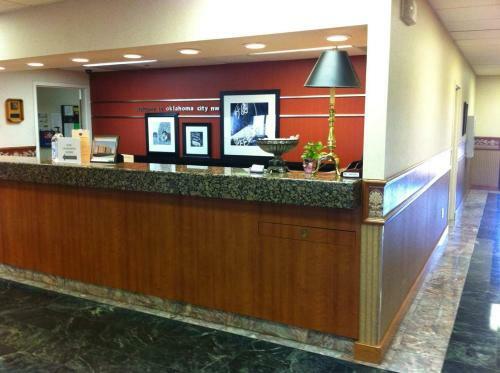 the hotel Hampton Inn Oklahoma City Northwest so we can give you detailed rates for the rooms in the desired period.